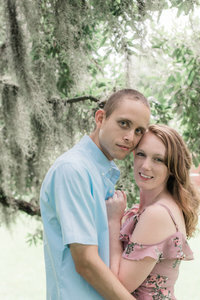 We are so excited to share some of our favorite photos from Samantha & Brett’s Noland Trail Engagement Session! Even in the winter, this location in Newport News is a favorite of ours! We frequently walk our dogs here and also love taking photos here. The golden light is always perfect! These two were so loving and flirty in front of our cameras and we had so much fun together! They are getting married this Saturday at the Virginia Beach Convention Center!! We are so excited to capture their day and celebrate alongside them! See more Hampton Roads Engagement Sessions!